a Nengajo, or traditional new year's greeting card. According to the Chinese zodiac, we've said goodbye to the Year of the Rooster and are saying hello to the Year of the Dog. Japan, along with many countries in Asia, uses the Chinese zodiac system, which rotates through 12 animal signs for each year in a twelve year cycle. Celebrations in Japan have already welcomed the transition, and the Year of the Dog in 2018 is expected to bring prosperity, particularly to those who, like the dog, are proactive, work hard and communicate well. Other astrologists predict that those who show generosity to others will reap the greatest benefits throughout the year. We talked to the staff at the Japanese Information and Cultural Center (JICC) to learn more about Japanese traditions for what is their most important national holiday. EdibleDC: Tell us about New Year's in Japan. How to you celebrate, and what are the most important New Year’s traditions? JICC: Oshogatsu (New Year’s, January 1-3) is the most important holiday season in Japan. 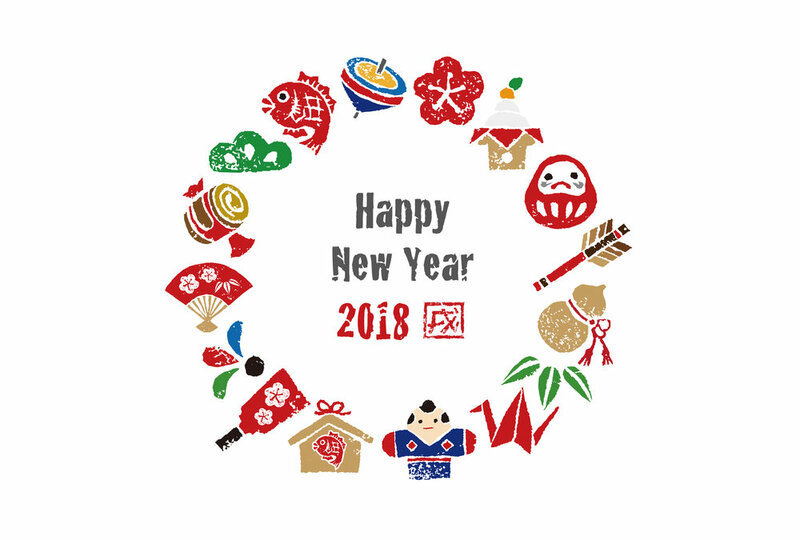 It is a time to be together with family, friends, and relatives, and many return to their hometowns to spend Omisoka (New Year’s Eve) and Ganjitsu (New Year’s Day). There are many traditions associated with the season, although some have fallen out of practice in modern times. Originally, Japan followed the Chinese lunar calendar, but since 1873 Japan adopted the Gregorian calendar and has since marked January 1 as the start of the New Year.We have several things that are important to do at the New Year. Joya no kane: On New Year’s Eve, Buddhist temples around Japan will ring the temple bell 108 times, one for each bonno (earthly desire), in order to drive these desires/attachments away and purify. Each strike of the bell must be allowed to fully reverberate before the next strike is made. Hatsu-mode: Literally “first shrine visit.” People will visit a shrine early on New Year’s Day (often before sunrise) to pray for good fortune in the coming year, buy omikuji (fortune lottery) and omamori (charms). Some people will wear kimonos for their hatsu-mode. Mochi, a rice cake, is a key ingredient in zōni which is eaten on new year's day. EDC: What are considered classic New Year’s dishes for Japan? Do they have any special connotations, such as providing luck, good fortune, etc? Osechi-ryori: A variety of dishes that celebrate the change of the season. This is a tradition that is over 1,000 years old. The dishes are often served in stacking lacquer boxes and items vary from region to region but typically include boiled beans, boiled fish, and su-no-mono (sliced vegetables in vinegar). They are prepared in large quantities before New Year’s so that there is no need to cook or prepare during Oshogatsu. Mochi: Pounded rice cakes. Consumed at other times of the year as well, mochi is an essential ingredient in zoni. There will often be a mochi-tsuki (literally: “mocha pounding”) event towards the end of December to make it in preparation for New Year’s. (The JACL DC Chapter holds an annual Mochi-Tsuki event in the area). Zoni: A soup eaten during the season. The ingredients vary from region to region but usually has seafood and vegetables as well as mochi. Usually, it is eaten on New Year’s Day. Toshi-koshi soba (noodles): Literally “year-crossing” soba (noodles). It is supposed to be eaten around midnight, during the crossing over into the New Year. One reason is that eating the long noodles is done in the hope that one’s life will also be as long. EDC: How do Japanese citizens celebrate New Year’s? Do traditional celebrations differ in the country and city? JICC: Celebrations are typically practiced in a similar way in both the city and country. There are some region-specific celebrations that are well-known, such as the Yamayaki (literally, “mountain burning”) that takes place in Nara. Other variations will typically be small variations in the ingredients of the dishes or the kinds of New Year’s decorations. Every new year in the north of Japan, “demons” known as namahage, go around visiting homes holding cooking knives to bless families with good health, a large catch and a rich crop in the New Year. EDC: What public New Year’s festivities occur in Japan? JICC: The joya no kane (described above) is one public activity and some temple bell ringings are broadcast on radio and television. There is one long-running television program that has become a part of the New Year’s experience in the later 20th century, namely, the Kohaku Uta Gassen (Red-and-White Song Festival). The show features two teams (red and white) of singers, usually the most popular artists in that year, who compete against each other on New Year’s Eve. It has been running annually since the 1950s. EDC: What sort of goals/resolutions do people in Japan make for New Year’s? JICC: Typically, people will pray, or wish, for good fortune in the coming year. Since the school year ends in March, January is the time when students will take exams for entering high school or university. This makes praying for good luck one of the most common “goals” (or rather, “wishes”) for students. DX: Otoshidama. During the New Year’s holidays, children receive special presents of spending money, known as otoshidama, from parents and relatives. EDC: What else makes New Year's unique in your country? DX: Our New Year’s Decorations. Kado-matsu is the most common and popular New Year’s decoration. It uses bamboo and pine and are placed at the entrances of homes or shrines. Bonenkai and Shinnenkai celebrations are also unique. While the time round around New Year’s is usually reserved for time with family, the days and weeks just before and after are usually filled with parties and banquets held with various social groups such as co-workers, neighborhood associations, and friends. The parties prior to New Years are called bonenkai (literally, “year-forgetting party”) while the parties held after New Year’s are called shinnenkai (“new year party”). These parties are an essential part of social life around this time and people will often find their schedules packed with bonenkai and shinnenkai. 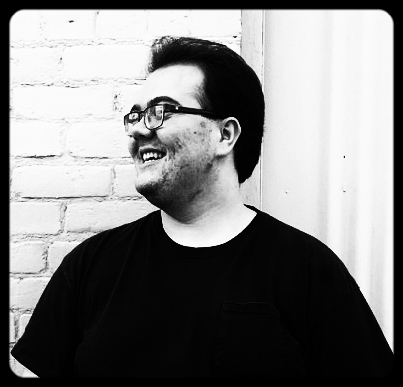 Thomas Martin is a sophomore at Yale University studying English. He is a staff writer for Yale's The Politic and writes about food, politics, and culture.